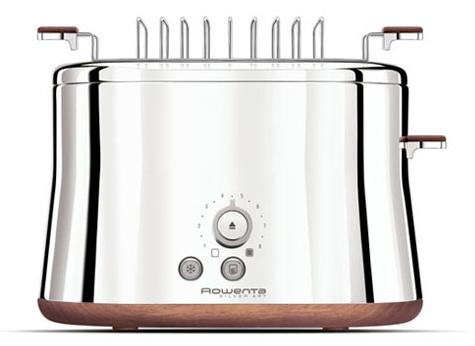 The Rowenta Silver Art collection is the most beautiful line of kitchen appliances I've ever seen. Chrome, metal and a touch of wood. I am incredibly disappointed that these are not available in the states. Designed by Elium Studio.